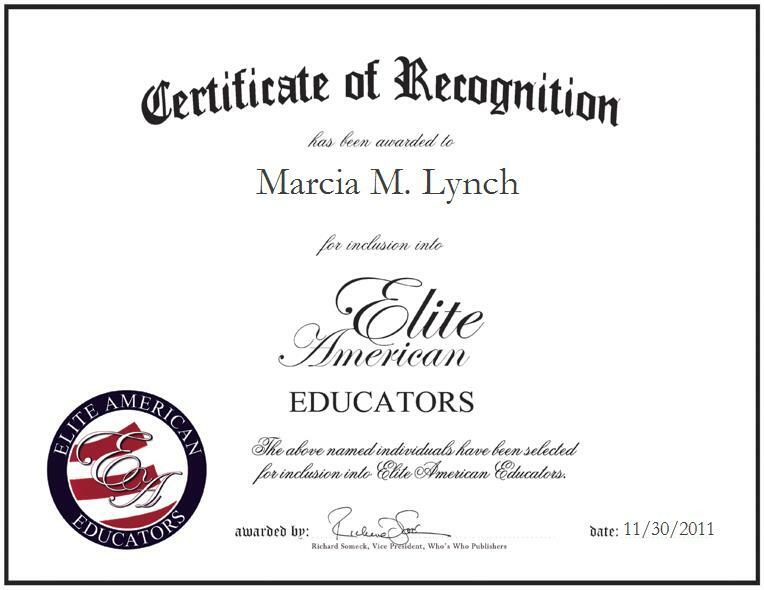 RENTON, WA, November 30, 2011, Marcia M. Lynch, Principal and Program Manager at Sartori Education Center, has been recognized by Elite American Educators for dedication, achievements, and leadership in the coordination of educational programs. Ms. Lynch specializes in the organization of programs which enrich students and determine the learning progress of each subject in all stages of formal education taught at the Sartori Education Center. In her current capacity, she is responsible for handling operations, management initiatives and budgetary plans at the school, and for her efforts, Ms. Lynch was honored with the Vocation Educator of the Year award. A genuine love for her work and for helping others has led Ms. Lynch down a continued path toward success and achievement in her field, and upon entry into the field of education, she has since been able to enjoy a natural progression of opportunities. In addition to the duties that she fulfills as a program manager and school principal, Ms. Lynch speaks publicly on topics related to management, motivation, and career and life skills. Her ever-emergent knowledge on these subjects has allowed her to demonstrate to others the countless opportunities that are available to them, and the gateways that they can open through goal setting, personal and professional growth, and career planning and development. A staunch believer in lending one’s talents to those in need of assistance, Ms. Lynch supports such worthy causes as the Wounded Heroes Foundation, and she also remains abreast of industry trends and developments as a member of the National Education Association.